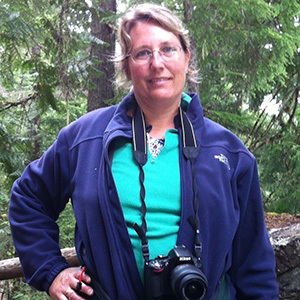 Dr. Karen Oslund received her DVM from UC Davis School of Veterinary Medicine in 1992. She completed an internship in small animal medicine and surgery at Virginia-Maryland College of Veterinary Medicine before returning to UC Davis for an anatomic pathology residency in 1993. Karen was board certified by the American College of Veterinary Pathologists in 1996 while working on a PhD degree in Comparative Pathology at UC Davis. Her dissertation focused on the acute inflammatory response and airway epithelial injury in the lung. Karen has had a long standing interest in surgical pathology working part time at CVD, IDEXX and VDx while enrolled in the PhD program. In 2005, Karen received a NIH grant to continue research in pulmonary biology and she returned to UC Davis School of Veterinary Medicine as an adjunct assistant professor. During this time, she gained expertise in molecular biology and morphometry. Dr. Oslund joined the pathology staff at VDx in 2011 and continues to have a strong interest in both surgical and research pathology.